In leafy Battersea, on the riverbanks of London’s south-west, a new development is springing up. From London property developer Avanton comes the Coda Residences, an elegantly designed hub of homes where the new global headquarters of the Royal Academy of Dance will also reside. As with all Avanton properties in the capital, the focus is on future-proof living and bringing shared spaces to the existing community. We caught up with Avanton’s Founding Partner Omer Weinberger and Chief Executive of the Royal Academy of Dance Luke Rittner while they were in Hong Kong to hear more about this inspiring project. How did this relationship between the Royal Academy of Dance and Avanton come about? Luke Rittner: Royal Academy of Dance has been in the London Borough of Wandsworth since the 1950s but we have outgrown our current premises. The leaders of the council were keen for the RAD to remain in the borough and facilitated an introduction to Avanton. We are delighted to be working closely with them on the development of our new state-of-the-art global headquarters in an emerging part of Battersea and it is exciting to see how movement and dance are influencing the architecture and interiors across the whole development, not just our new home. 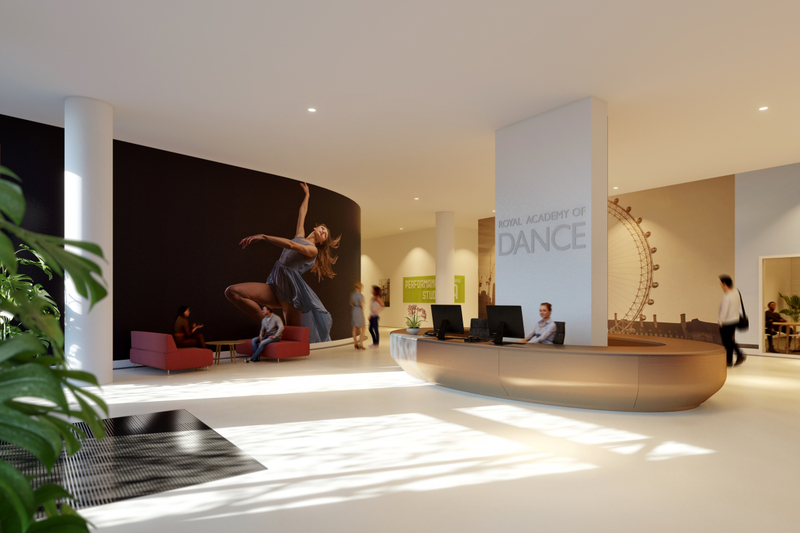 Omer Weinberger: By creating a new global HQ for the Royal Academy of Dance, we have been able to support both the Academy and the local Council’s wish for them to stay within their home borough of Wandsworth. By working to preserve these all-important cultural institutions in our communities, Avanton is proud to encourage and promote new talent, and inspire the next generation to continue the tradition of dance. Luke, how will moving the RAD impact its work? Our new headquarters will be very visible and part of an iconic development at the heart of an exciting regeneration in South West London. It will underline in a very tangible way that the Royal Academy of Dance is an evolving, forward-thinking organisation, as relevant today as it was in its conception in 1920. And, when we move into our new home in 2020, it will be our centenary year and will be the foundation for our vision for the next 100 years. The move almost doubles our current square footage, meaning our new studios and performing space will enable us to extend our already wide range of dance activities, regular classes and workshops to meet our members and students needs as well as the increasingly engaged local residents. Omer, tell us about the drive behind Avanton’s London property ventures – what are you aiming to create? We want to create homes which are as practical and enjoyable to live in in 20 years’ time as they are the day residents move in. In order to create homes that will last, we prioritise the fundamentals; in short, the things that make peoples’ homes what they are – space, functionality and facilities. And how would you characterise exceptional property, what does it need to have? “Exceptional properties ultimately need to be built with the resident in mind. At Avanton, we develop all of our properties with this approach, taking an individual view on each and every project, tailoring each development to the needs of those who we envisage will be living there. At this site, we have worked with Patel Taylor to create an architecturally striking development that will become a landmark for its part of Battersea. Its bold design comprises three buildings on a single podium, the architectural form of which has been inspired by the movement of dance, in fact. For our first collection, Coda Residences at Avanton: Battersea the interior architecture and specification has been created by Johnson Naylor, designed as an honest reflection of our vision to do things differently. Luke, why is the RAD mission still so relevant? Whilst we have inevitably changed over the last 98 years from a British organisation to a global one, our mission has remained the same: to deliver excellence in dance teaching and education and to promote the passion and joy of dance. The Academy is synonymous with excellence; over 230,000 young people take RAD examinations every year around the world, with 12,000 per year in Hong Kong alone. RAD has also launched the careers of many of today’s elite ballet dancers in companies all over the world including Hong Kong Ballet (Yei Fei Fei), The Royal Royal Ballet and many more. However, we are also focused on reaching a more diverse audience with programmes that aim to support boys and young men interested in dance training (Project B); Silver Swans aimed at the over 55’s; and, projects bringing dance and cricket together: Dance Down the Wicket. Today, we recognise that dance has the power to connect people and communities in powerful ways and that learning to dance at any age provides a range of benefits beyond the skills learnt in the studio. Dance had never been more relevant and as the world’s leading dance education and training organisation, we have a lot to say and a lot to offer.